. Published on August 6, 2013 . There has been a lot of discussion lately about what supports to use inside a stacked or sculpted cakes. Some use the wilton plastic tubes, some use dowels, some use bubble straws, some use a combination of all three or some even use an elaborate set up of specialty stacking systems… to each their own. 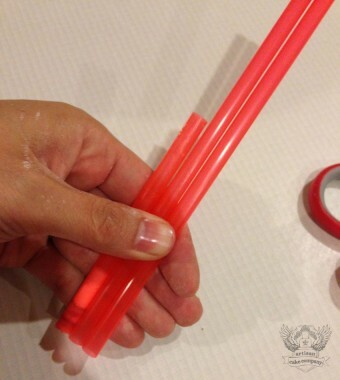 One day while shopping at my local restaurant supply store (cash and carry) I saw some straws that looks fatter than drinking straws but not quite as fat as bubble straws. 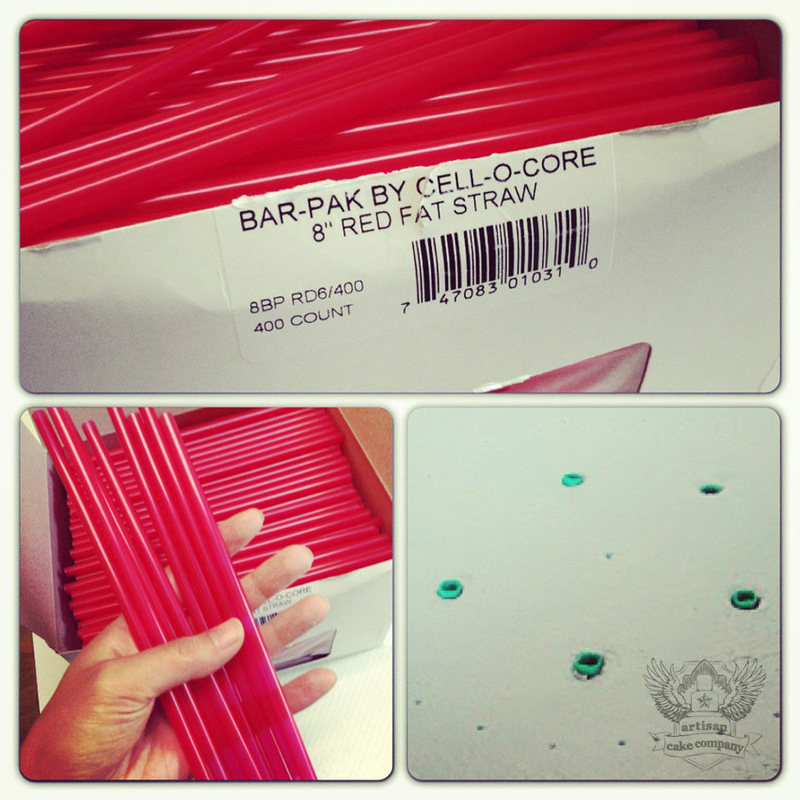 They were called “fat straws”… well-named don’t you think? I believe they are milkshake straws. I bought a box of 500 for about $6 and decided to give them a try. I spaced them on my cake like I would wooden dowels, they take up about the same amount of space. I put three or four in the very center and evenly space them as I move out towards the edge. I think I put my straws closer to the edge of where the cake sits than most do because if you don’t, its easy for your cake to become unsupported and collapse. Remember make sure each straw is about an equal distance away from the other, so the weight of the cakes are distributed evenly. 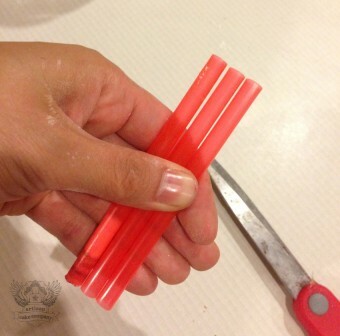 When I cut my straws, I measure the center of the cake, mark with my fingernail and then cut. I use this as my guide for all the other straws. 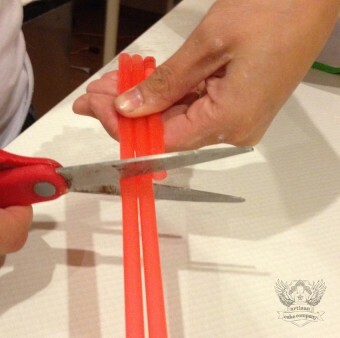 If you change straws each time you cut, you will gradually get off your measure and have a crooked cake. Also, if you put in a straw and it sticks up a little or is a little short, do not trim the straw! It means your cake is not level. No worries! 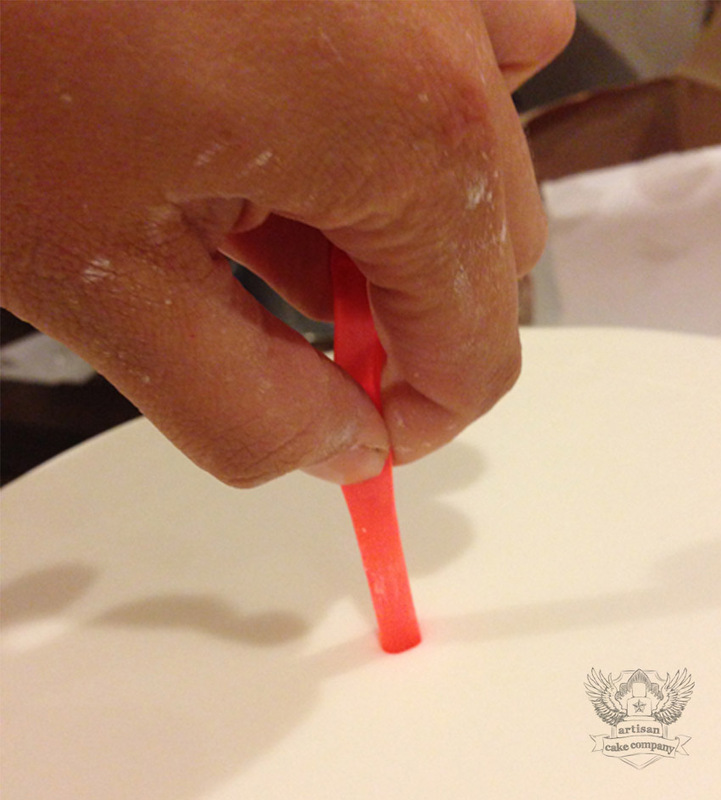 Keep putting in your straws and keep them all the same length and then when you put the cake on top, push the fondant down a little to close the gap or pipe a border. Once all the straws are inserted, I stack my cakes. I only deliver cakes that are stacked that are three tiers or less. If they have more, then I will put a dowel down the center or stack on site. Stacking on site is always safer if your design allows. I also always deliver cakes that are chilled overnight in the fridge so the cakes are very sturdy. I typically deliver about an hour before the ceremony so by the time the cake is cut, it has come to room temp. I hope this tutorial has helped clear up any qualms you may have had about using straws for supports. It is all I use in my cakes, even my sculpted and super tall cakes. The key is to just use enough, keep them level, make straight cuts and chill your cakes. Cheap, easy, effective cake supports. Cake supports are required for any stacked cake and standard. Customers would much rather take out straws than to have their cake collapse under the weight of itself. Cake is very heavy. Good morning! I am making a wedding cake on Saturday and have never been more terrified I was wondering…Do you freeze the cake once they are cool? do you freeze the cake with dowels in it? Do you think fondant is best to use or can I just use icing if itll be humid? I’m wondering, and it’s probably something very easy that’s just slipping my mind, but the straws don’t have cake through them… how? Am I suppose to stick them, empty them then stick them back in? I’m so confused and very eager to try this but don’t want to mess up my cakes. Don’t worry about the cake getting into the straws. Great tutorial! Just wondering, if you don’t stick the layers to each other and there’s no centre dowel how do the tiers not move about, especially in your car boot when you wiggled it? Also the cake boards in between the cakes- do they need to be very thick? I’m using cake boards make of corrugated cardboard and now not sure if they are strong enough. Am baking my first 3-tier cake and am very nervous! Hi, I need to make a wedding cake with whipped cream icing. I was wondering if your tiers move during transportation? Just wondering if this method works the same for buttercream cakes not covered in fondant? This is probably obvious to everyone but me, but do the upper tiers stick to the lower ones? How do you keep them from messing up the frosting below them? You don’t need the tiers to stick together. The are only stacked on top of each other for display then you disassemble to cut and serve. Maybe I should rephrase that. So let’s say you have a top tier and a bottom tier. The top tier is on a piece of cardboard, which is on top of the bottom tier. Now, won’t the cardboard mess up the frosting on the bottom tier? How does that heavy cardboard-and-top-tier NOT stick to the frosting it’s sitting on top of? Do you put something in between to separate them? Sorry if this is a stupid question, but I just can’t find an explanation anywhere. If it’s buttercream then yes the board would stick to the frosting but it doesn’t matter what the frosting looks like under the board. 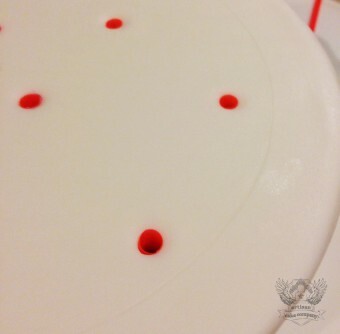 If it’s fondant then it might stick if it’s very humid outside but still, it doesn’t matter because it’s the part of the cake that doesn’t show. I put a small amount of sifted powdered sugar between the layers before stacking. Just in the area where the above tier will sit. When you disassemble the cake the icing does not stick to the upper board. 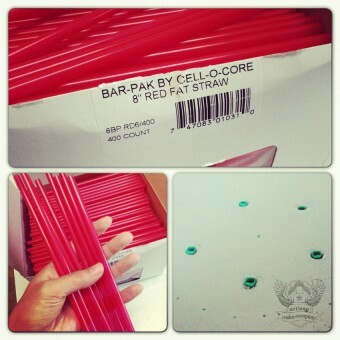 When I saw the box of straws, I went “Cash and Carry!” because we have the same straws at home, in the same colour. Hi Liz, love the cake, beautiful as always. I like you, have always used straws to support my cakes. 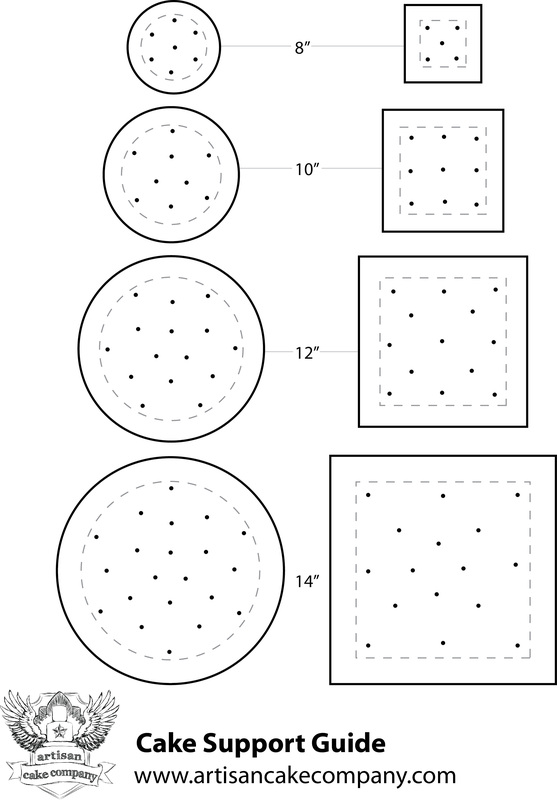 I find myself with a dilemma, I have a 4 tier cake, 12″, 10″, 8″ and 6″ but with a 2″ separator between the tiers. 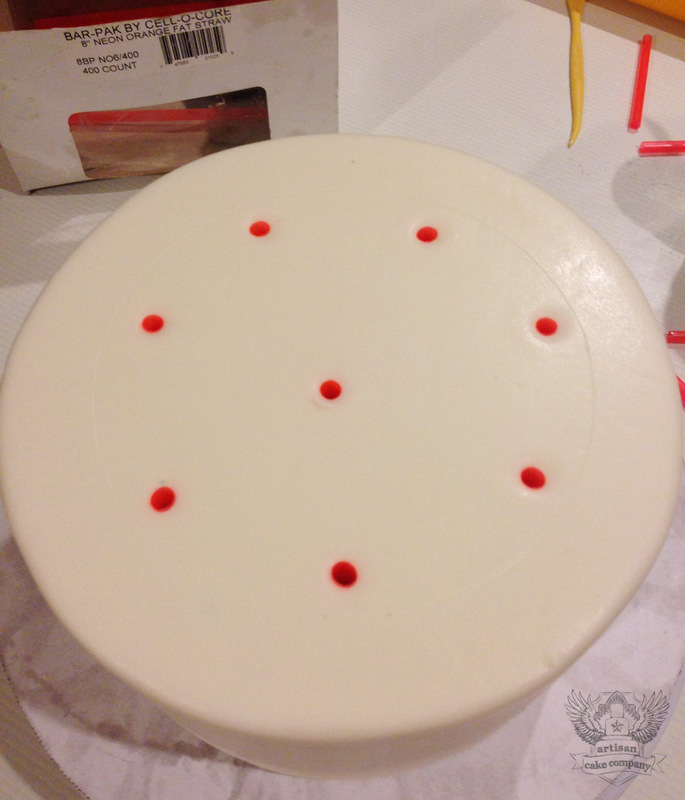 If I place 15 straws in the 12″ within an 8″ circle which the separator will sit on, most of the cake will be eaten by straws, if I use less I would be afraid not enough support was given to the tiers above. 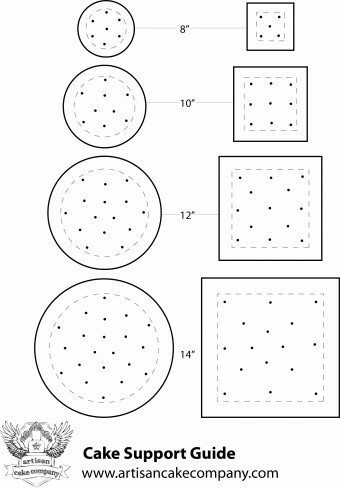 Same would apply to the 10″ within a 6″ circle and so on, can you offer any advice please? Just use less straws for the size of the separators. It will still be plenty strong but I would use a center dowel support that is attached to my based to make sure the cake did not tip over. I do that with all my cakes that have separators. Love your work and your tutorials! This question is not about the fat straws but about refrigeration of decorated fondant cakes. Would you refrigerate the above cake, with the sugar flowers and colored balls already on it overnight, or would you decorate it AFTER you take it out of the refrigerator? We always worry about the sugar decorations softening up with the moisture. We always refrigerate our cakes too so that they are nice and cold for delivery, but do worry about this every time. We once had a cake with small Wilton sugar pearls “sweat” and then the pearls started to melt with the moisture. Had to replace them once it started to dry out…Thank you! Oh I see, sorry for the confusion on my part. I do actually refrigerate my cakes fully decorated. I was worried initially about sugar flowers but they have never had a problem on my end. Hi I love love love ur work, ur videos are super and so helpful thank you so much. I wanted to ask do you put cake boards between your tiers or anything else or do you just leave it without. Does the cake stick to the cardboard? How do you keep the upper tiers from messing up the frosting on the lower tiers? Stacking while chilled helps and yes the cake usually sticks to the cardboard on its own but some people glue it down with a little frosting. Found you on facebook and love your work! I am a self taught baker. I do decorated sugar cookies, cake pops and cupcakes. I have made 2 cakes (nothing fancy) but nothing stacked. This is going to sound very funny to you, but I know people have to use support to stack cakes. I am wondering how do the straws help so the cakes don’t move? The straws have nothing to do with the cakes moving, it’s just an inexpensive and effective way to stack a cake instead of using wooden or plastic dowels. What a great tutorial! I apologize if this is a completely novice question, but I’m wondering how you get your tiers to stay together. Do you put icing between the tiers, or is the weight of the cakes enough to hold them together? I have a three-tiered wedding cake to make, and I’m concerned about the cake staying stacked during transit. Mine naturally stick together because of the bit of condensation that happens when I take them out of the fridge but if you where really worried about it, I would use melted chocolate yummy glue! Hi! What a lovely cake! Do you make the flowers? 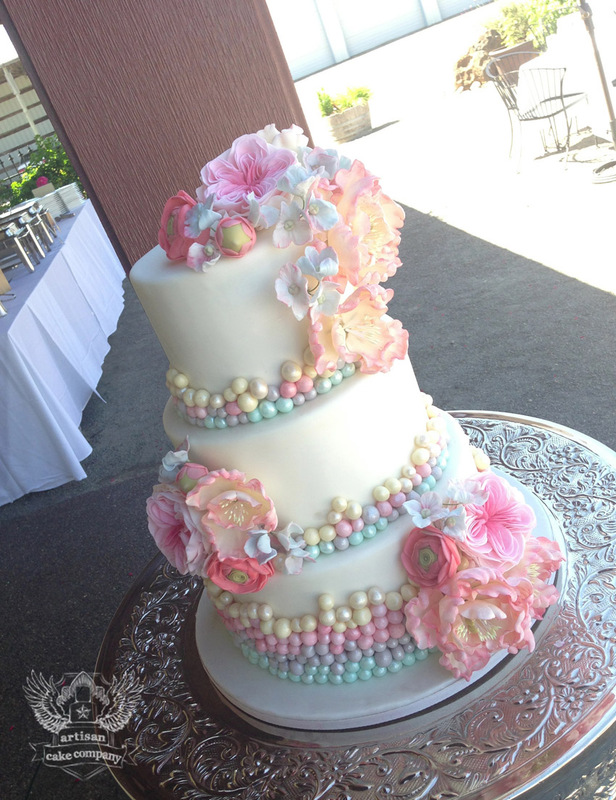 Hi Elizabeth….Love that cake..how did you do the little bubbles/balls to make them look so beautiful? Re the straws…I went to use some the other day & couldn;t work out whether to leave or cut off the pointy end Did the straws you use have a pointy end?? If using a central dowel..do you get special “food safe” long dowels from somewhere as most of the wooden dowels are only the short skewer length ones…or do people use dowels from a hardware store?? ( which I assume would not be food safe). Please excuse my ignorance…am only learning all these things now & your help has been amazing! Thanks again. I don’t use bubble straws, I use fat drinking straws. They don’t have a point end. You don’t want anything with a pointy end, you need them to be flat. People use regular dowels from the hardware store and are perfectly safe. It’s the same wood as a skewer Good luck! Thank you so much Elizabeth fir your reply , ..very much appreciated! I have just started using the fat straws too, I’m just wondering if there is a weight limit for them? Can you use them for 7/8 tier cakes or do they need additional support? I am not sure but I know the UK is a massively popular area for cake decorating. I would call up any cake decorating supply store in the area and ask what they recommend <3 good luck! Do you have a commercial fridge? I wonder if cooling my cakes would prevent some of the sagging and bulging I’ve been experimenting. I have a separate fridge for chilling my cakes but it is not commercial. Just a freezer less residential fridge. Thanks so much! I have a dedicated fridge, but have always been afraid to put my finished cakes out of fear that condensation would ruin it. Guess it’s time to experiment. fantastic tutorial thank you I’m self taught and have been asked to do a stacked cake and was wondering what to use for support so finding you is a godsend. I was a bit nervous as i’ve never done a stacked cake before but with your tutorial I feel a lot more confident. Don’t forget the boards underneath the cakes good luck! I have used bubble straws for ever and have more than once cast a look sidelong at, what we call in Australia, thickshake straws. They’re the ones that McDonalds use for their drinks here in Oz. Great to know that they work just as well as I can only get the bubble straws, online, from overseas! AND THEY”RE MUCH CHEAPER TOO!!!! WHoot! i ve already heard about this but wasnt sure how to proceed exactly:your video is really helpful!! some questions though/you say you remove straws before cutting cake?? how do you ? sorry for the silly question,but i can t figure out how you can remove them as long as they are inserted into the cake!! 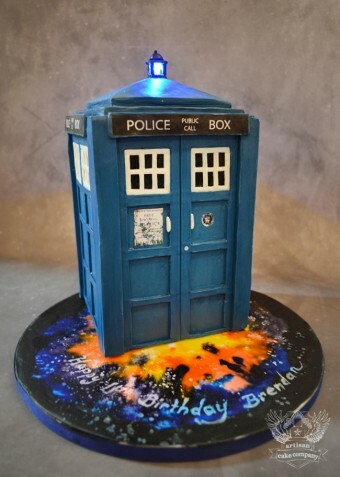 last questions:could you plse share what cake board you use for this cake(it seems really sturdy)? and what do you put in the car under the cake to avoid it to slide? thank you very much for being so generous with us! 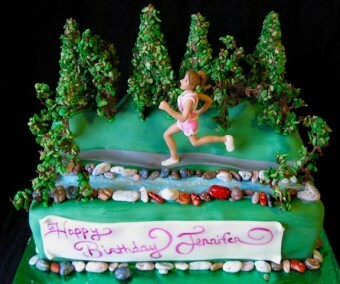 !i hope to be half as good as you are in cake decorating!! I don’t use any center dowels, the venue removes the straws with pliers or scissors or even their fingers when it is time to cut the cake. I use wooden cake boards on the bottom and cardboard cake boards under each tier. thank you very much,Lisa,for your answer,your tips are precious!! oups! !forgot to tell that your cake is just gorgeous!!! Hi. Wow. Chilling fondant covered cakes! Can you tell me what brand of fondant you use? Thank you! How much coco do I add to your recipe to make it chocolate? I thought chilling cakes in the fridge makes the fondant sweat and sticky? Have never tried it myself because of his reason. Please can you advise? Thanks. I’m going to make my first wedding cake and I’m a nit nervous about stacking the three tiers… Aren’t the straws distracting when you cut and eat the cake? How do you cut stacked cakes? 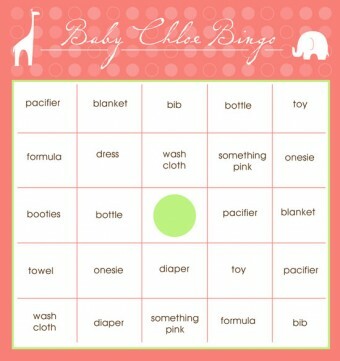 do you use also cake boards under each tier? Do I need to use those techniques if I use only cakes without a cream inside? You should look up some tutorials on how to stack cakes etc. Those are a lot of questions Straws are removed before cutting. You unstack the cake before you cut. Yes boards under each tier. Yes you need to use those techniques. Cakes are heavy and WILL collapse without proper support. whew! Thanks for your answer – I really appreciate your help! So now I’m just confused. Why where you crying? I put all my cakes in the fridge. The worst that happens is they get a little sticky but that goes away once they warm up. It just makes it easier to cover with fondant. All professionals chill their cakes so I’m not sure who told you not to. The only issue is when it is very humid outside, your cake can get really wet and sticky but that has to do with the weather. If you live in a humid area, I would suggest getting a de-humidifier if you make a lot of cakes. 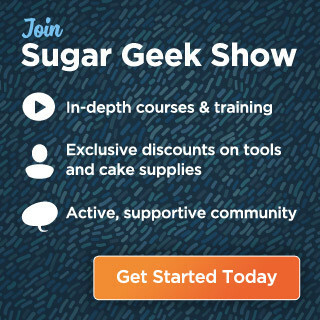 Liz, thank you for sharing all this tips! I have been doing cakes over a year now, and it amazing how I learn something new every day! I was in the same shoes for a long time, doing things the hard way! Glad the tut helped you! Love your fondant tut too! I love the way it came out! Thanks again!!! Thanks for sharing your stacking technique! I have only used bubble straws in the past but then again it’s not often I make a tiered cake. Love your finished cake – amazing colors.